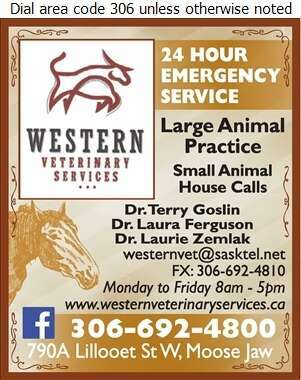 Western Veterinary Services gives you the best care for large and small animals. We provide radiology, ultrasound, laboratory and dentistry services. Western Veterinary Services offers 24 hour emergency service and are dedicated to providing your animals with the highest standard of care. We work to provide your pets with the best quality of care and professional services.